1. Create a notecard and title it “Canopy Bed upgrade – [your name]”. 2. In the notecard, list the full name of the Canopy Bed you own, the name of the purchaser (if it was a gift), and where it was purchased (inworld or on the marketplace). 3. 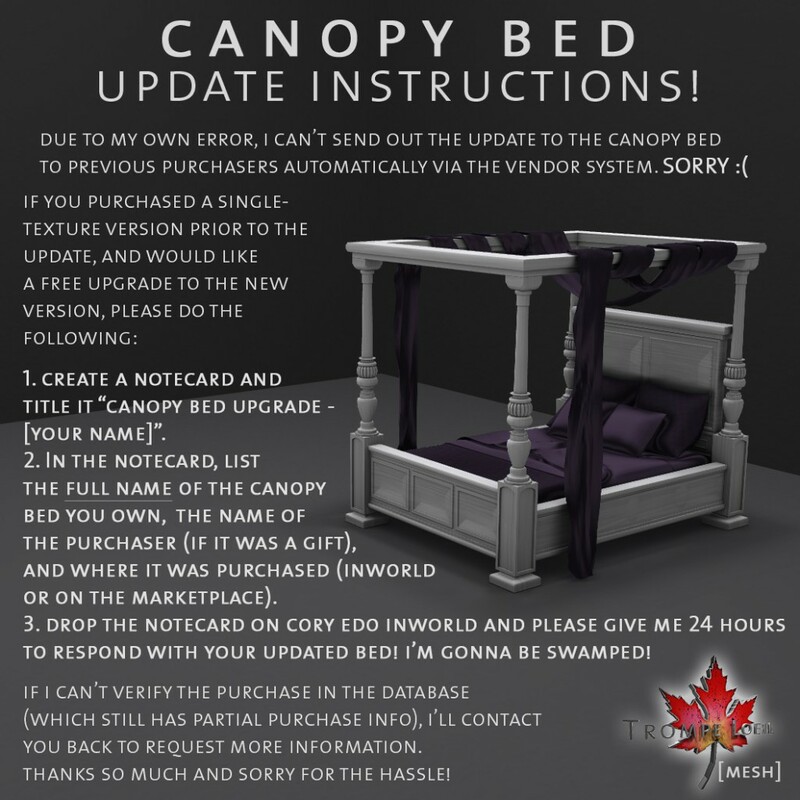 Drop the notecard on Cory Edo inworld and please give me 24 hours to respond with your updated bed! Again, our apologies for the hassle and the delay in getting this Plan B together. There is no time limit on this upgrade offer – if you have an older version of the Canopy Bed and want to upgrade to the recent update, the offer is valid at any point. Thank you to all our wonderful customers for your patience and support!